The Regina CFA is launching our Final Report & Action Plan. Please join us to learn more about the project and next steps. 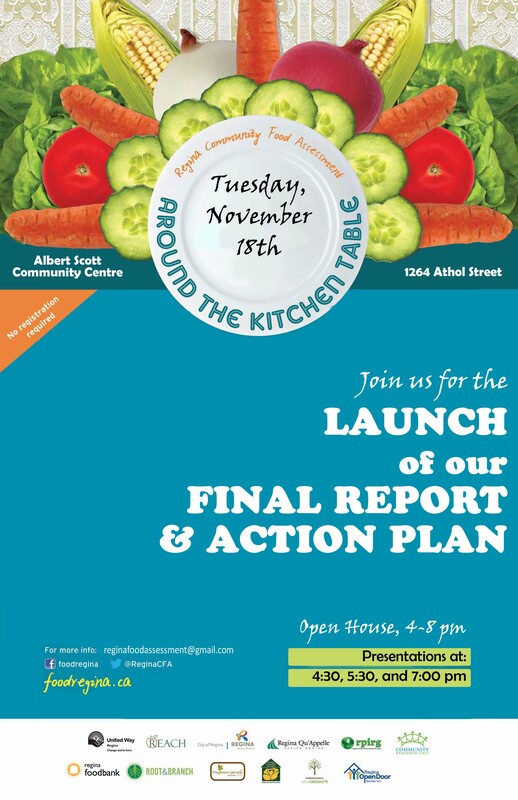 Join us for a discussion about the findings of the Community Food Assessment and the launch of a Draft Food Security Action Plan. Over the past year we have conducted focus groups, surveys, and public events to gather feedback about our Food System. 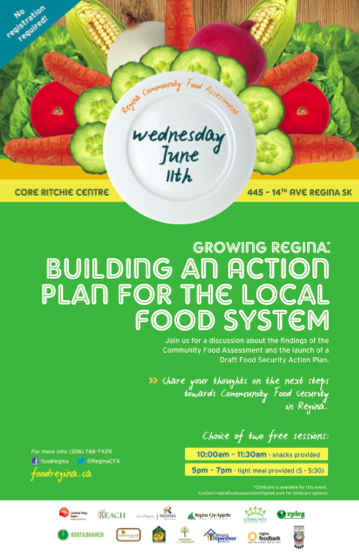 We want to share our findings and invite you to share your thoughts on the next steps towards Community Food Security in Regina. Stay tuned to our website, Facebook and Twitter for details, or Contact Us to be put on the newsletter mailing list. 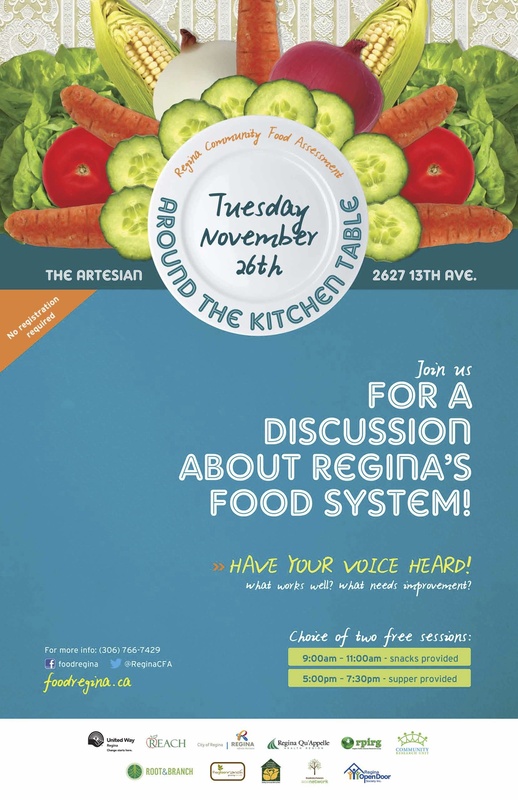 The Regina Community Food Assessment held two public discussions on Tuesday November 26th at the Artesian and invited the community to share their thoughts and opinions. We had a great turnout and fostered interesting ideas and discussions about our food system, pondering such questions as: What works well? What needs improvement? and What should we do about it? Thank you to all who participated. Eat Healthy Foods catered fresh, local, and organic food for both events.